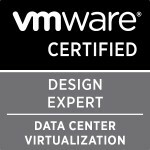 Having seen a recent VMware communities posting with someone having the same problem I had I thought I’d write this up. Now as to make this posting structured to try help someone fix this problem if they have done it themselves I’m going detail the steps you should/ i myself did follow. Firstly I have to warn you that before you follow these steps I can’t promise you will get your snapshot data back nor can I promise it won’t corrupt your vm but having done this process with VMware support for this problem this is what they would make you follow also. RW **number** VMFS “VirtualDisk-000001-delta.vmdk” . Next open the “VirtualDisk.vmdk” file and look for the RW **number** VMFS "VirtualDisk-flat.vmdk" value. What we are going to do is make it look as if the expand never happened. So edit the “VirtualDisk.vmdk” file and put in the FIRST number from the “RW **number** VMFS “VirtualDisk-000001-delta.vmdk” into the VirtualDisk-flat.vmdk line and save it. Secondly as I said one of the problems could be down to your CID for your VMDK being different from your snapshot/s so follow this Knowledge Base article. After making sure the CID’s match then "delete" the snapshots. If your snapshot manager shows no snapshots(like mine did) then create one called test or whatever you like, let it create, then go to snapshot manager and click delete all and this should apply/"delete" the snapshots. Categories: Virtualisation | Tags: “Cannot open the disk, extended disk with snaphot corrupted, Unable to revert to snapshot after expanding disk, virtual machine cannot boot after extending base virtual disk with a snapshot attached, VirtualDisk-000001-delta.vmdk, VMware, your CID for your VMDK is different | Permalink.